The Battle of the Plains of Abraham as a food fight. I proposed this comic for the annual comics competition organized by Hachette Canada, whose theme this year was “food”. I unfortunately did not win, but the creation of these pages did give me a valuable opportunity to experiment with colour, and with a more cartoony style. 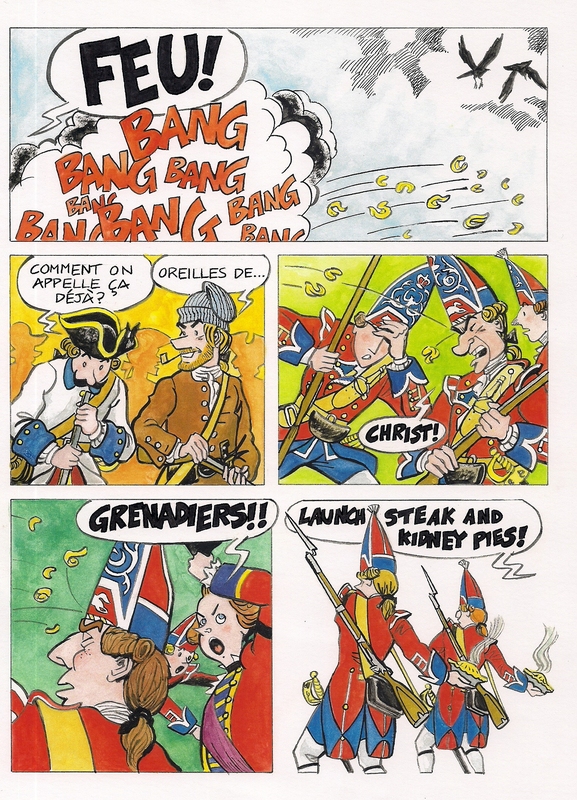 In the remainder of the comic, the French and British were to launch numerous other characteristic food items, including french fries, “ragout de boulettes”, cheddar and haggis (courtesy of the Fraser’s Highlanders). In the end, among the smouldering (and delicious) battle debris, poutine was to be discovered. 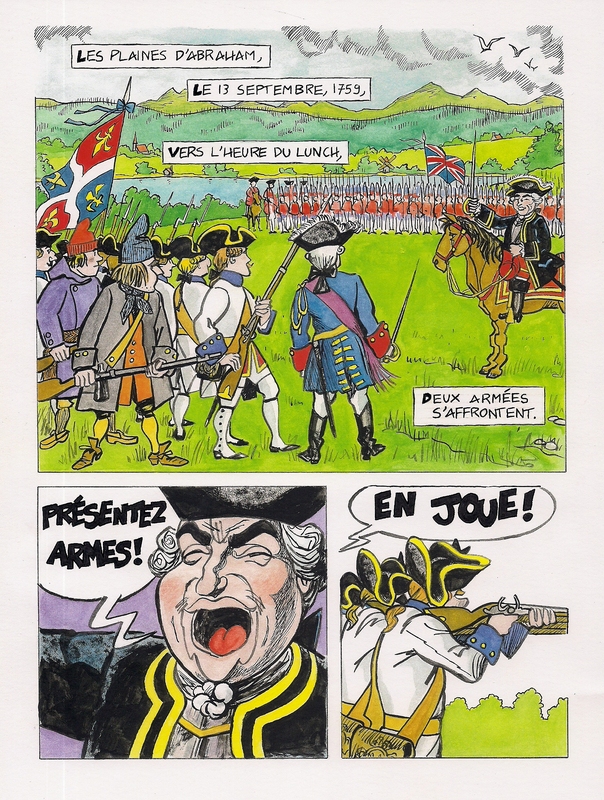 This entry was posted in bande dessinée, humour, new france, nouvelle france and tagged Bataille de Bouffe, Bataille des Plaines D'Abraham, Battle of the Plains of Abraham, Concours BD Hachette Canada 2012, Food Fight. Bookmark the permalink.